. Do you recall the fabulous ceiling in a room by Celerie Kemble in a recent Kips Bay Show House–that was executed by Miriam. 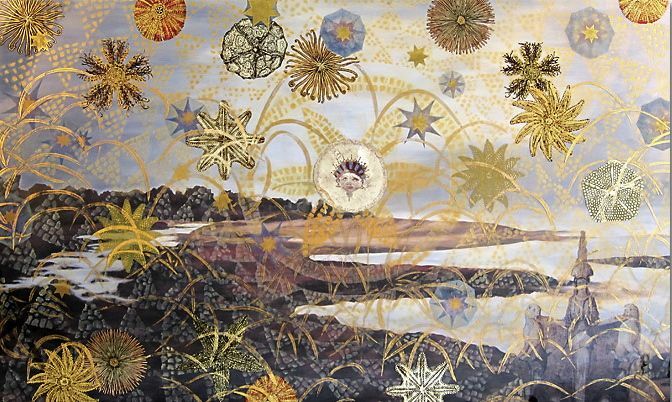 Above is her gorgeous screen currently on view at the Museum of Art and Design’s current exhibition showcasing New York artists and artisans entitled “New York Makers”. Take a look at a close up. Wow, don’t you think? 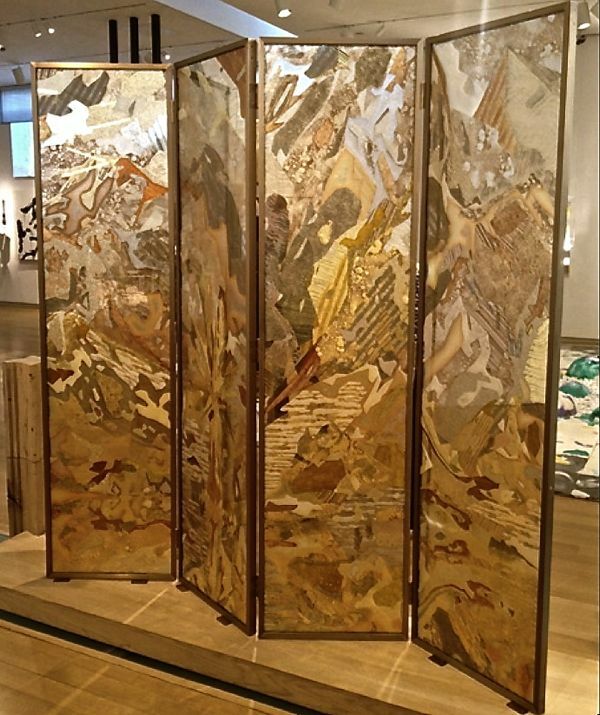 Ellner’s screen is composed of glass, gold leaf, white gold, palladium, moon gold, mica flakes, artist oils, glass beads and crushed abalone, surrounded in a bronze frame. 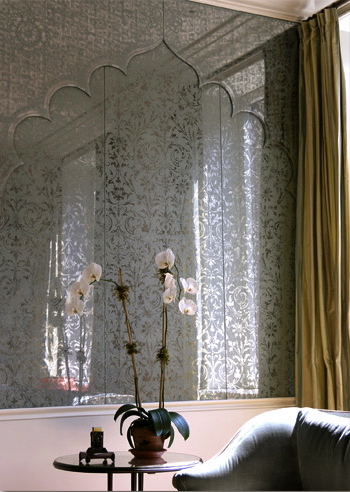 Here is a peek at some more lovelies from Ellner’s portfolio. Photo credits: Except where noted, all photos from Miriam Ellner’s website.